I spend a lot of time outdoors. Not as much as I would like but whenever I get a chance to get out of the house or office I’ll take it! I’d much prefer to be bathed in sunlight in the fresh air than sitting under florescent lighting and smelling toner cartridge in the office all day. Who wouldn’t?! Whether I’m on one of my sunrise or sunset walks, sitting in a hide or camping for the weekend I’ve usually got a few gadgets and other equipment with me. Gadgets to help me get more out of my passion or pastime. 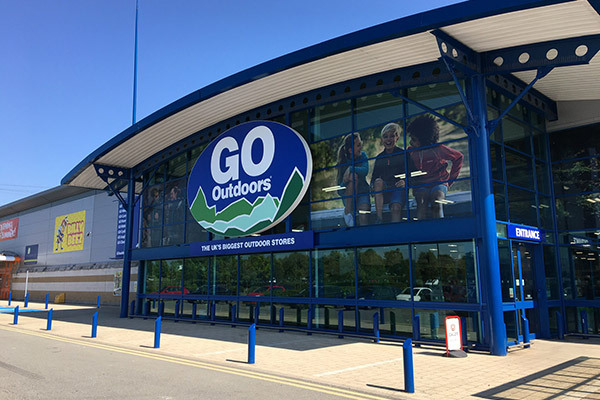 So, when I was invited for a tour of the new Go Outdoors store in Ipswich before it officially opened to the general public I jumped at the chance. 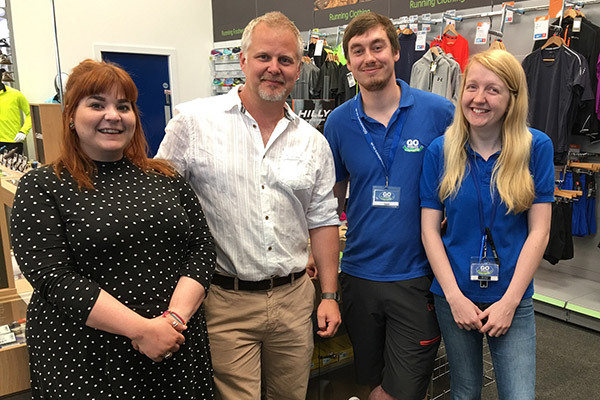 I was met by Stephanie Hoy, the regional Marketing Manager, Jess, the new store manager and Tom, another extremely knowledgeable member of the Go Outdoors team who had been helping set up the new store ready for the opening. The first thing that struck me was the size of the store. It’s huge! Well, it seemed huge to me but Steph indicated that some of their 59 other stores were even bigger! The store is clearly divided into different areas. You’re drawn up the main central walkway into the tent village. That’s right, there’s a small village of 20+ tents, all fully erected, in the centre of the store. 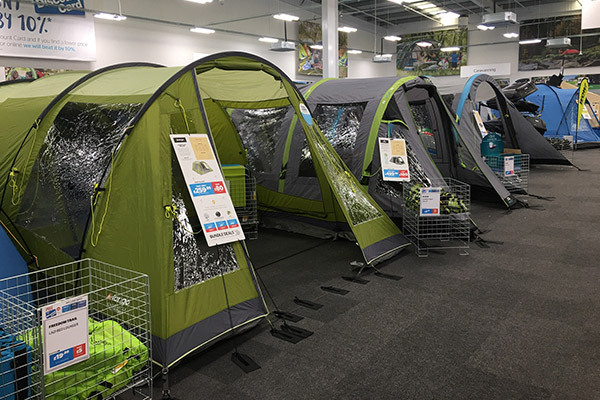 Whether you’re looking for a one man tent, a low cost festival tent or a monster for all the family you’re bound to find something that fits your needs and your budget. One of the things I really liked was the bundle offers you find inside each tent. A great marketing idea to get you to spend a little more maybe, but one that feels genuinely useful too. 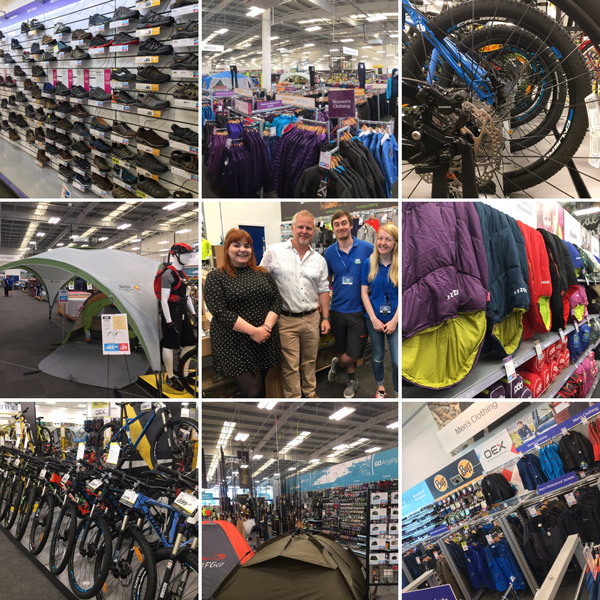 The rest of the store is laid out in an equally impressive way with a massive choice of clothing, footwear, camping equipment, bicycles and a host of other outdoor gadgets. Tom and Jess kindly highlighted in detail some of the areas they thought I would find most interesting. They really seem to know their stuff! I’m assured that every member of the team is trained to an equally high standard. One of the disadvantages of having such a huge choice is that you can find yourself asking ‘which one do I choose? !’ Having staff around who are genuinely knowledgeable is a great help and reassuring but to be honest Go Outdoors have done an excellent job of dividing their range of products into good, better and best choices. This makes it so much easier to make a decision! As with most purchases these days, buying something online is easy and convenient. The Go Outdoors website is a good example of this, BUT sometimes there’s nothing better than actually getting your hands on an item you’re thinking of buying. Feeling the quality of that sleeping bag you’ve been reading about with your own hands or actually standing inside a tent to get a feel of whether it will be big enough to fit you, your family and all your other gear inside. The new Go Outdoors Ipswich store is having its official opening this weekend (10 June 2017) and TV star Ross Kemp will be on hand to cut the ceremony ribbon. There are a number of activities planned as well as an exciting competition I believe. If you are in the Ipswich area this weekend get yourself along to the store and join the fun. 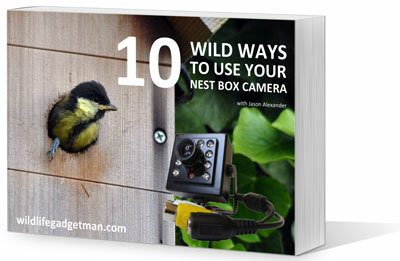 Visit the Go Outdoors website to find out more. 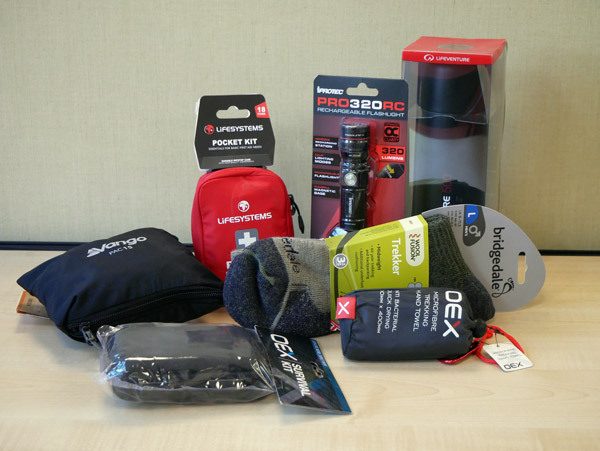 As I wondered round the store during the tour I also grabbed a selection of outdoor gadgets and gear to put through its paces over the coming months. I’ll be adding new reviews about the gear soon.